Hi everyone! Happy New Year to you all! It’s far too late to be saying that, but since haven’t posted since before Christmas, then it still applies. Hope you all had the most smashing holidays and haven’t been suffering too much being back at work, as I have. 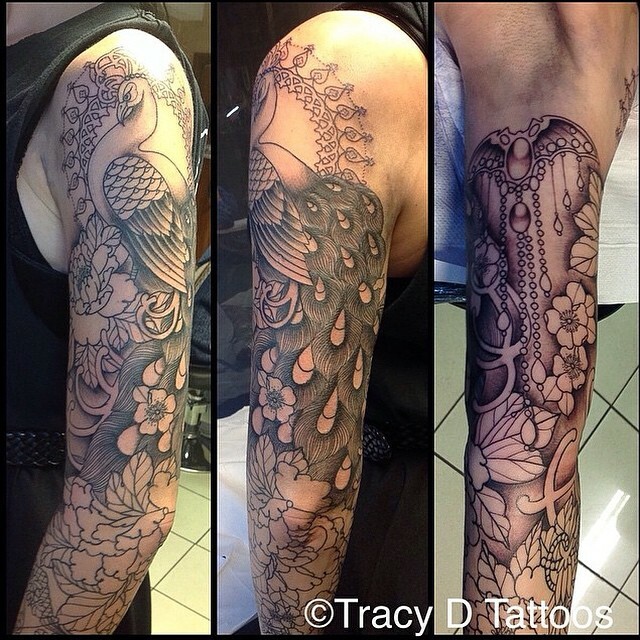 In my last post, I showed off my new arm tattoo by the talented Tracy D, the latest photo of which is above. It has started something of a slippery slope to wanting more and more work! I love traditional style/old school tattoos and had a vague idea that after my Art Nouveau masterpiece is finished on my left arm, that I would go down the traditional route for the other. Pirate ships, roses, a roaring panther, that sort of thing. But since I have promised my mum (hi Mum!) that I won’t get my other one done, I have had to think laterally. Well, vertically. 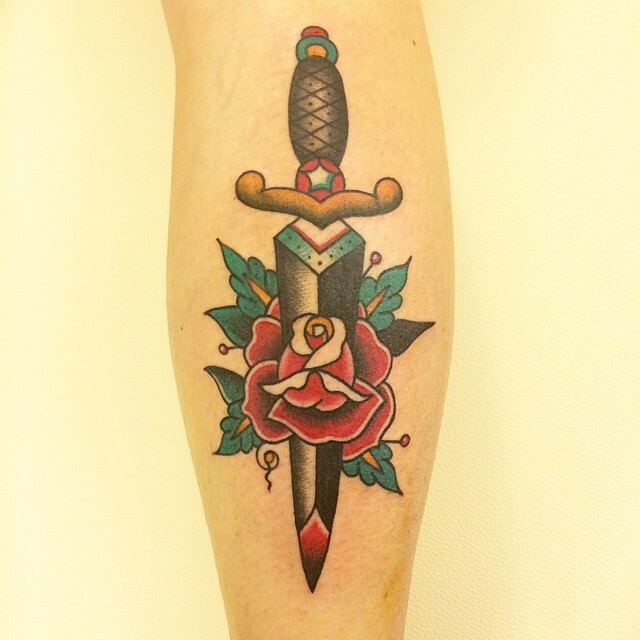 To my leg, to be precise. More on that later. I have become fascinated with tattoo history recently, while researching for a future King’s Ginger piece. It seems the headline that we always see about tattoos ‘becoming popular’, variations on the old, ‘tattoos were once only for sailors and bikers, now they can be found on sophisticated folks everywhere!’ type of story have been being rolled out for centuries. King Edward VII and quite a lot of historical aristocracy had them, and the contemporary newspaper articles on the subject were just the same! 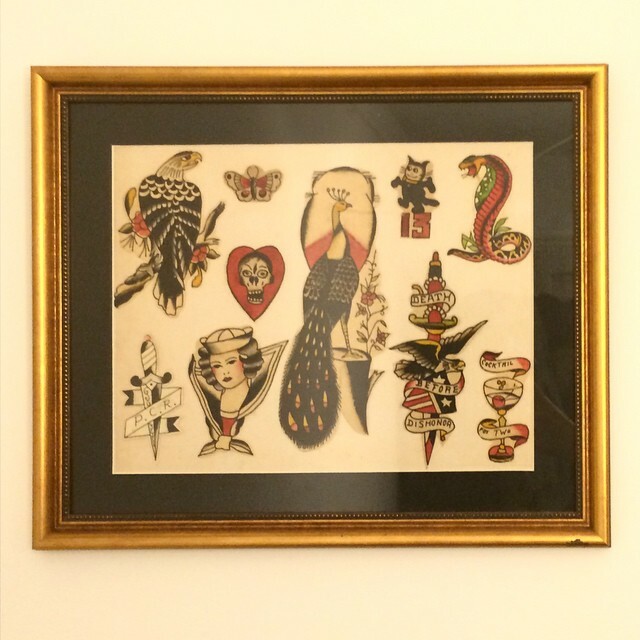 Anyway, more on the latter soon, in the meantime, I thought it would be a fun and interesting blog post to put my interest into an interview with a London-based traditional tattooist who knows his vintage tattoo history. So here it is! Chris Lambert is one of my darling boyfriend’s oldest pals and also a very talented chap. 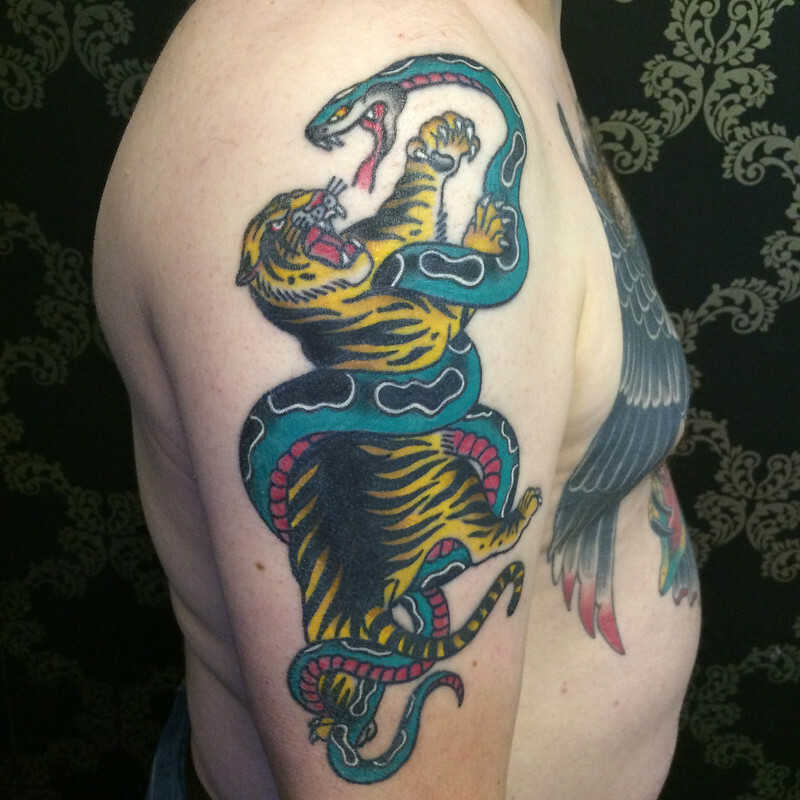 He has been tattooing for six years now and very recently moved from Leeds to the Big Smoke, currently working with Horikitsune in his studio in Central London. The fact I know him socially as well meant that he was the perfect person to have a long chat to about tattooing through the ages! Chris told me that he initially fell in love with the tattoo-inspired art that often appeared on the album covers of the bands that he used to listen to as a teenager. 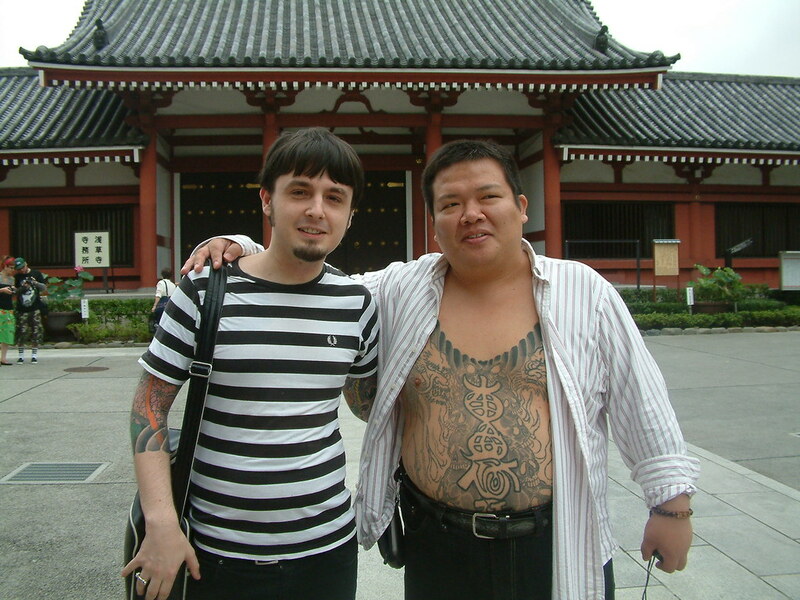 A trip to Japan soon cemented his love of tattoo culture, and particularly irezumi, (Japanese traditional tattooing). 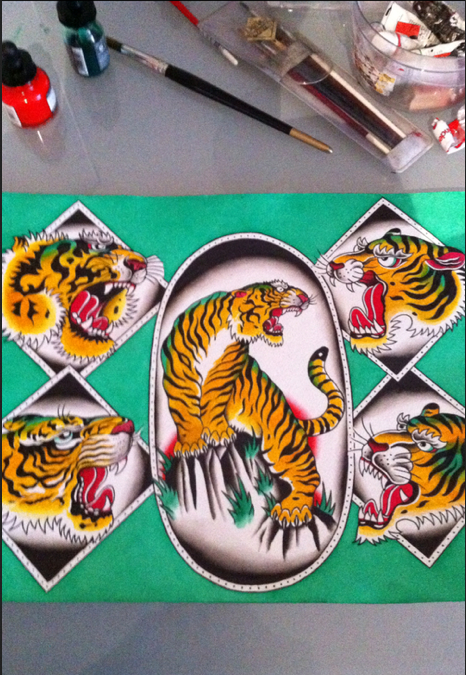 There, he saw people who had made a career out of tattooing irezumi, doing some amazing work. Compared to some of the incredibly young tattooists that are around in abundance today, Chris came into the tattooing game quite late at 27. Due to a medical condition, doctors advised him against getting anything himself, but after visiting Japan that first time and deciding he was going to make a go of tattooing, he got two traditional swallows on his legs for his very first tattoos. “And to my surprise they both healed perfectly!” he told me. The rest is history. Have a read of my interview with Chris about that history (both his and tattooing in general), below! Firstly, tell me about your path to professional tattooing! The realisation came after visiting Japan, and when I got back to England, I decided to find myself an apprenticeship. 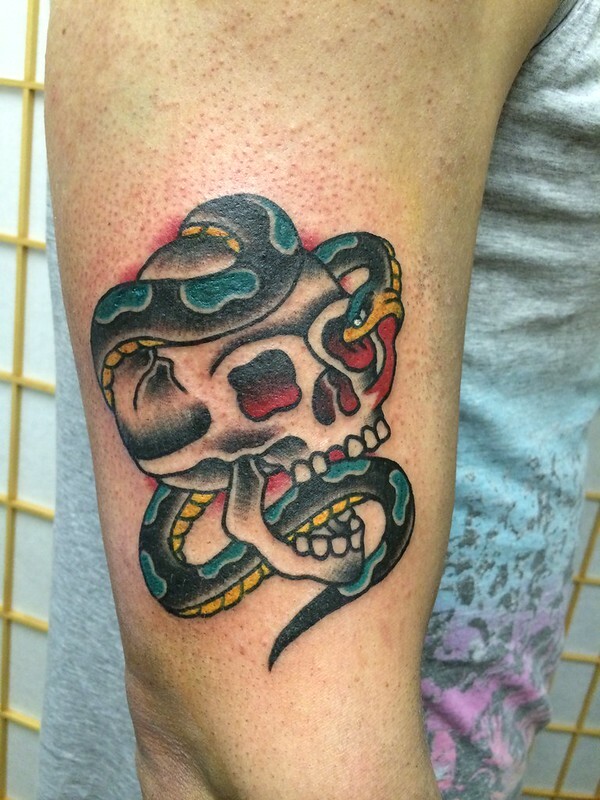 I put together a portfolio of paintings and drawings and starting getting tattooed by local artists in my area, this naturally led to me being offered a spot as a shop apprentice in Leeds. After a couple of years of sweeping floors and cleaning tubes, I finally started to progress and travelled to other shops as well as overseas to America when I had reached a certain standard and was considered decent enough to do so. Chris has been back to Japan several times since! 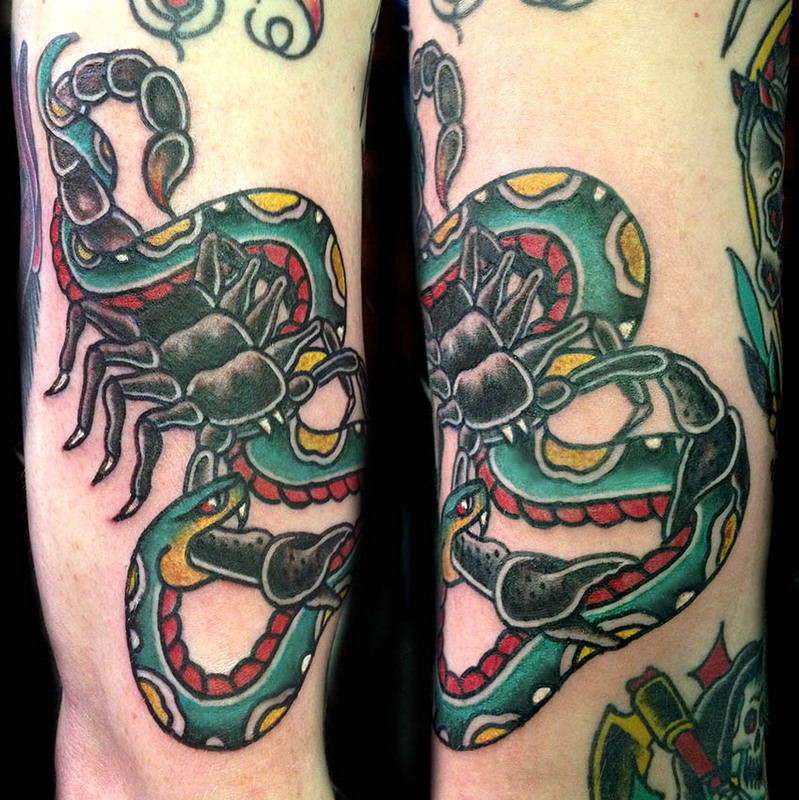 You specialise in traditional tattooing (as well as Japanese styles). 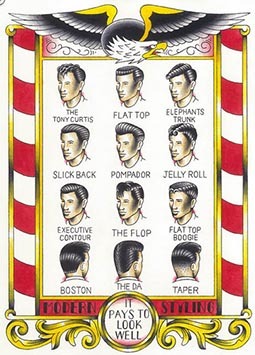 What drew you to the old-school rather than more modern styles? 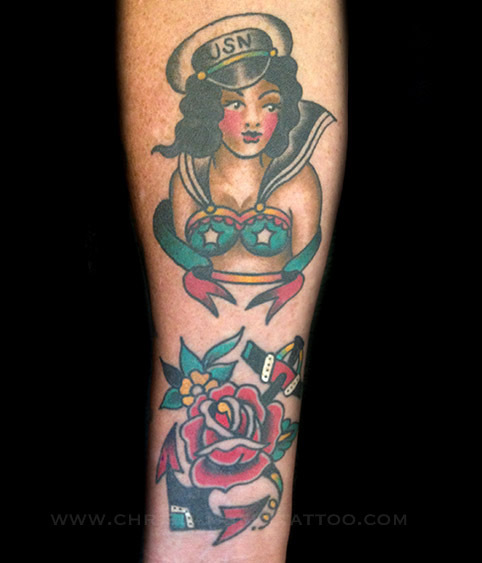 Travelling to America led to my discovery of the American traditional tattooing that had its heyday from the 20s to 40s and originated mainly amongst the servicemen in the Navy. I love the simple, bold designs that look great even when you’re older. Back then, the tattooists only had a limited colour palette (this is before you could buy your inks from a company in a catalogue… These guys had to make their own inks! ), and I find that this limitation creates a style that I really like. It captures the nostalgia of the period. I also love the Japanese style for its history and incredibly striking, timeless designs. The reason I love these styles the best is exactly that – they are timeless. They also tend to age very well to due to their boldness. I like being able to tell what a tattoo is from across a room, rather than the more colour-centric, realistic styles of the modern era. While tattooing has never quite been the sole remit of sailors, it’s true that today it’s a lot more mainstream than 70 years ago. What was the life of a tattoo artist like in the 30s, 40s and 50s? In the US at that time, most tattoo artists didn’t tattoo as a full time job. The most well documented and famous tattooists of that era were servicemen in the army and (mainly) navy. They would work full-time on the ships and when they had leave from their duty, for maybe 24 hours to two days at most, they would tattoo all the other servicemen who were also on their leave, sometimes tattooing for two days straight! This is where the simplicity of the style comes from, it was all about speed: how many folks can they get through the door before they have to report back for duty. There were also tattooists at this time that were still travelling around with the remaining circuses of America, (a well known character famously documented for starting in the travelling circuses is a guy called Stoney, featured in a great documentary called ‘Stoney Knows How‘, also starring Ed Hardy). These guys also didn’t tattoo full time, usually. In the circuses of the late 1800s to (possibly) 1940s, it wasn’t unusual to find women tattooing. 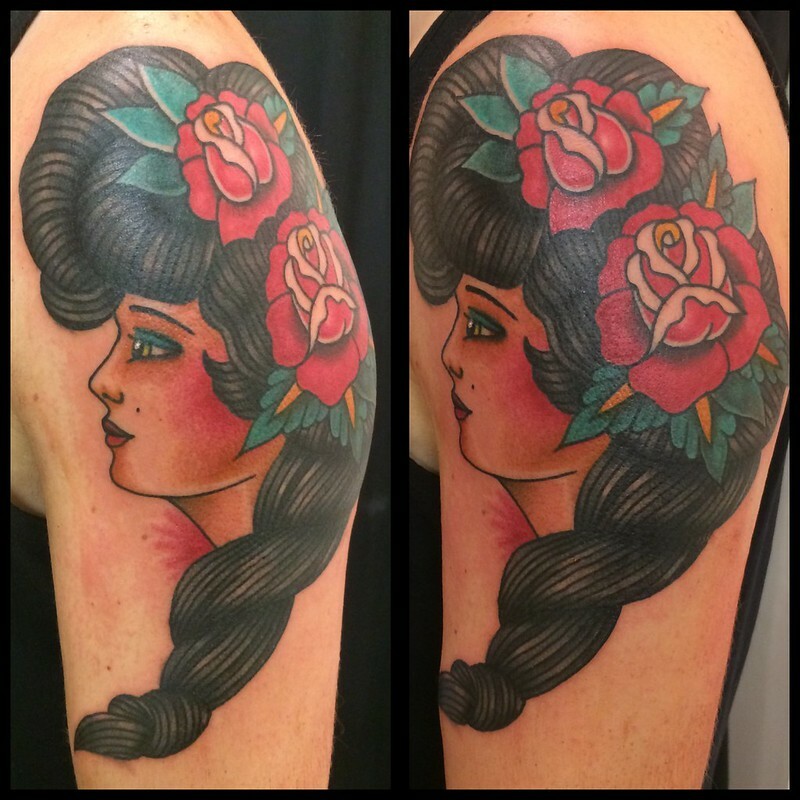 Half of their time would be spent tattooing and their other role would be as an attraction, ‘The Tattooed Lady’. Not a glamorous job, as it was usually just a seedy excuse for men to go and paw over a scantily-clad woman, who happened to be tattooed! Was there much difference in the UK and US tattoo scenes back then? Tattooing in the UK had its heyday at the turn of the century when Japan opened its doors to trade, the rich and wealthy came back to England with souvenir tattoos of oriental design. When Chinoiserie and Japonisme became the height of fashion, a small amount of tattooists began to tattoo the upper classes and royalty with these oriental, Masonic and trophy designs. The style was more fine lined with less black under-shading at this point. Tattooing eventually trickled down into the military classes and found its way to America where traditional tattooing was refined. 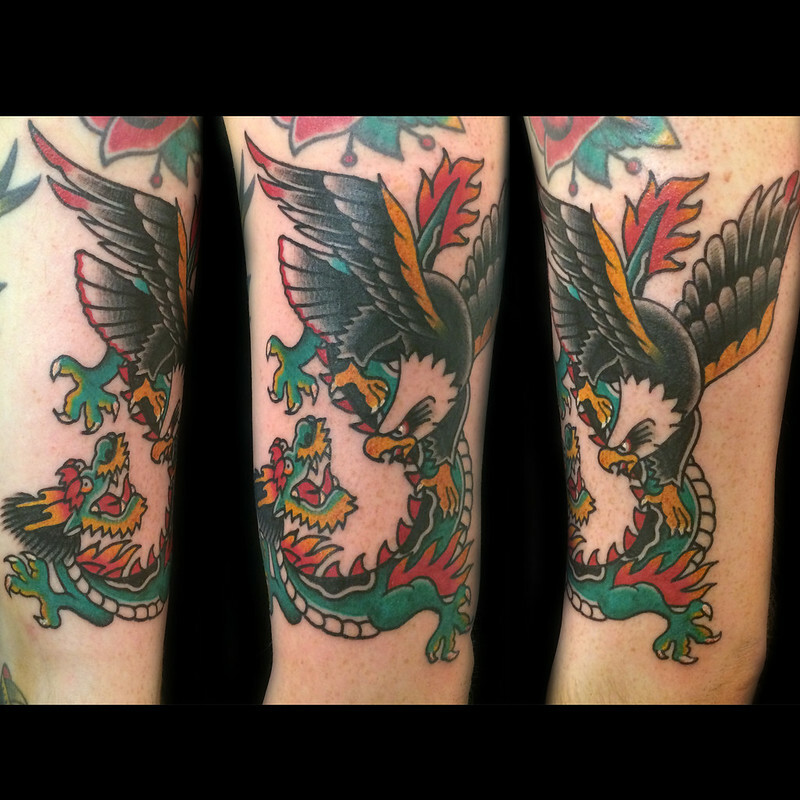 Many will know about Sailor Jerry already, but who are some other classic artists you admire? I love Bert Grimm who had an impressive collection of flash. 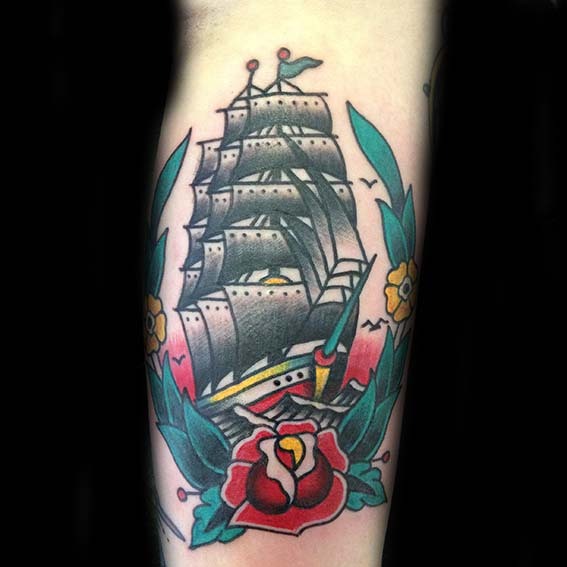 I think one of my all-time favourite tattooists of this era has to be a chap called Cap Coleman. Again, another guy who was ex-army. He had an shop in Richmond, Virginia. 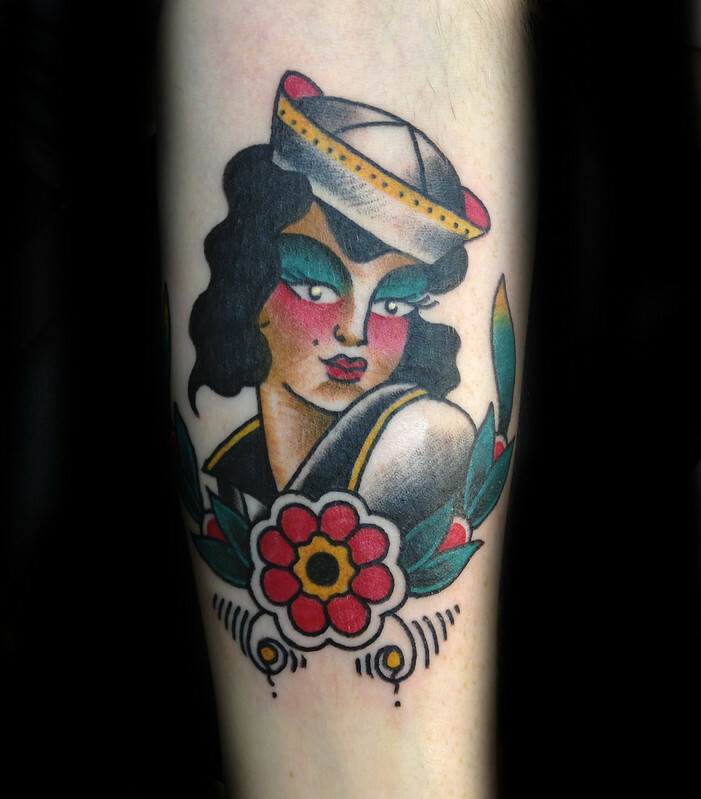 Sailor Jerry idolised Cap Coleman and he reworked many of his flash designs. I like the fact that Coleman used to draw all the flash he had on the walls a little wonky so that if people came trying to steal his designs they wouldn’t get it quite right if they didn’t know what they where doing haha. The old guys used to do this so that you were even more pleased with your tattoo when finished as it looked better than when you picked it off the wall. Haha, sneaky! Original Cap Coleman flash sheet from the mid-30s that Chris owns! Electric tattoo machines were invented in the late 1800s – how did the technology change between then and the 40s, and the 40s and now? Well, the rotary was the first type of machine to be invented, then the coil machine modified from an Edison invention came along after that, and to be honest… it hasn’t really changed since. You may get the odd fad machine, but it’s like trying to reinvent the wheel, they never last. Yes, we don’t have to solder our own needles every day if we don’t want to, but the actual machines haven’t changed much at all. In fact, vintage machines are highly sought after, especially if they were made by a particularly good maker. I personally think actual ‘vintage’ tattoos (faded 40+ year old designs on elderly folks) look pretty cool, but do you think that techniques have improved so that by the time our generation are elderly, our work will stay more intact? Nowadays, we have better quality inks, with no heavy metals or toxic ingredients, and the pigments are much better – they don’t tend to ‘blue’ as older black indian inks did. This will certainly help our tattoos to age better to a certain degree. 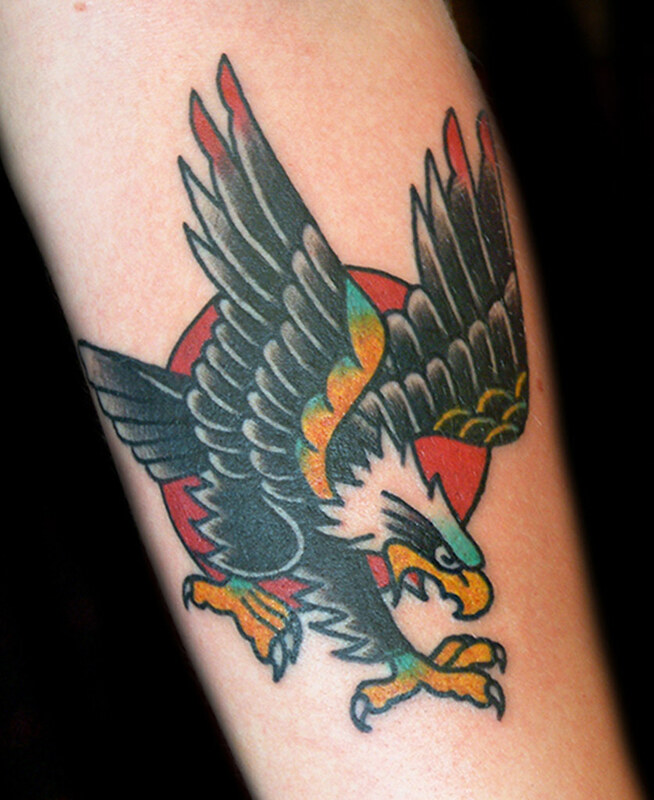 But it’s mainly down to the design you have chosen which will determine how your tattoo will age. Always stick with solid black outlines, this will ensure the design will age well and still be recognisable later on down the road. 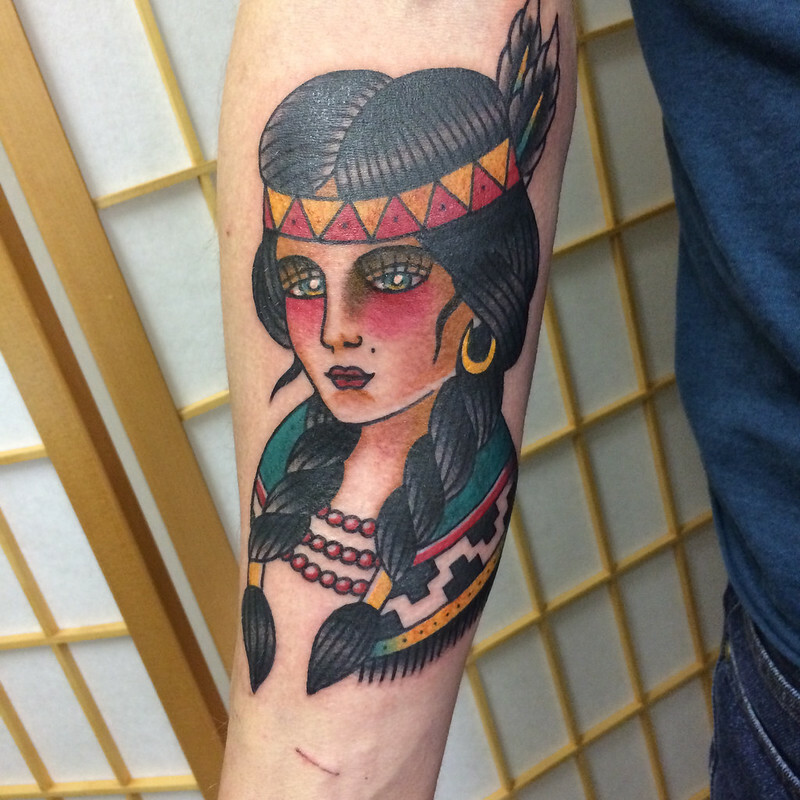 Unlike 90s tribal, traditional tattoos never seem to really date. Why do you think that is? I think very much like the fashions of the time, (30s and 40s), these designs will always appeal to us as they come from a timeless era. They will probably continue to be reinvented into the future, but we will always end up coming back to the classics. Fascinating, huh? And what about my own little foray into traditional tattoos? Ta-da! I adore it. 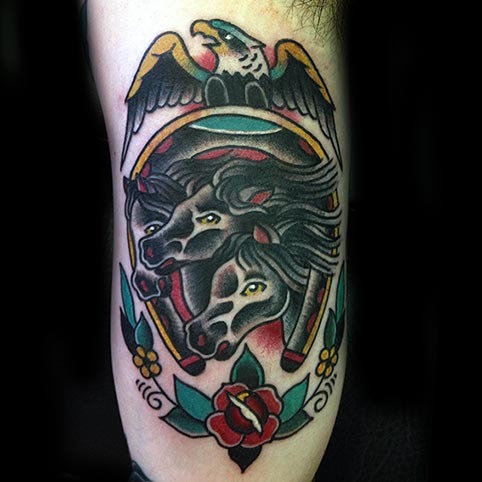 If you fancy getting your own piece of traditional tattoo history from Chris, you can contact him through his website, at chris@chrislamberttattoo.com or on 07967 333521. He also sells a range of excellent prints, badges and plugs of all gauges featuring his designs on UK Custom Plugs. We have this very print at home! He told me that UK Custom Plugs will also soon be releasing an old school tattoo colouring book drawn by him as well, in case any of you fancy trying your hand at whip-shading! 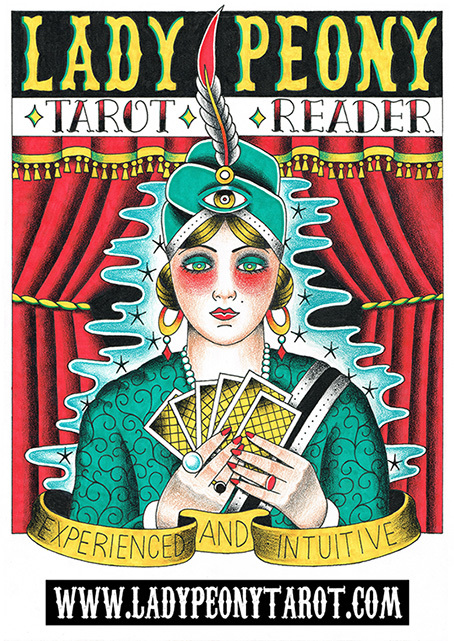 On a side note, Chris drew this fabulous poster for his partner Colette, who is about to launch her own tarot-reading site. If anyone would like their cards read by a wonderful lady, drop her a line at ladypeonytarot@gmail.com! Hope you enjoyed reading my foray into interviewing! Oooohh, this makes me want more ink to no end (I have one small black ink tattoo of word "poet" on my right arm that I got when I was 17). What awesome, classic, beautiful (not to mention inspiring!) tattoos. This was really interesting. I didn't used to think much of traditional tattoo styles, but the older I get and the more tattoos I see, the more I like them. 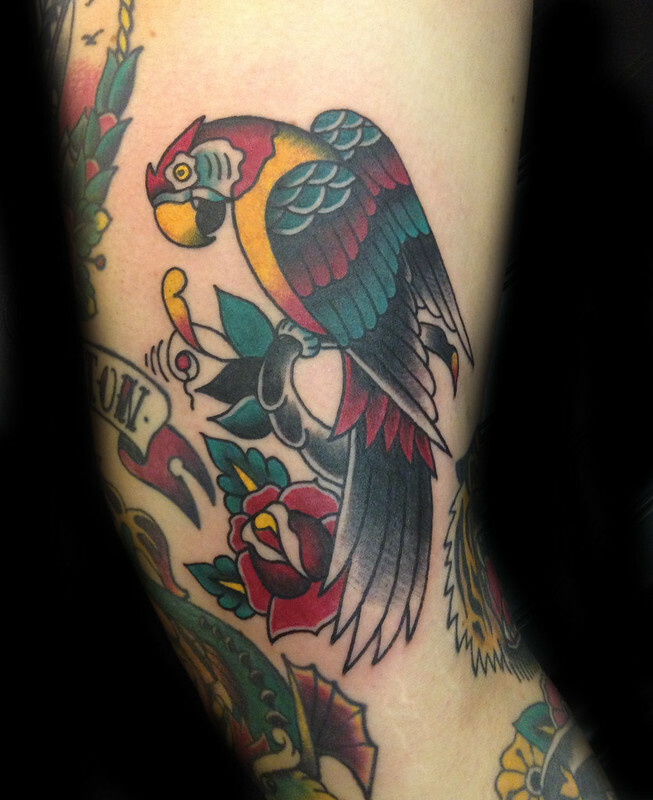 I have a Sailor Jerry sparrow on my upper chest, and I'd like to get a few more in that style. I am really in awe of the arm piece that you're working on. I love the inspiration behind it, and he's done a fantastic job bringing it to life. I've got two traditional anchors across my shoulders and always meant to extend one side around and into a half sleeve but never got around to it. Maybe someday. 🙂 If I don't do that I've also got some drawings done for a key to my heart type thing that would look nice on the back of my calf. Decisions, decisions! Your friend is really talented. I love the traditional tattoos.